The Russian-Syrian agreement on the indefinite deployment of Russia’s air task force in Syria was ratified by the State Duma on Oct. 7. Russia’s upper house of parliament, the Federation Council, ratified on Oct. 12 an agreement on Russian air task force’s indefinite deployment in Syria. A total of 158 senators voted in favor of the ratification, one abstained. The Russian-Syrian agreement on the indefinite deployment of Russia’s air task force in Syria was ratified by the lower house of parliament, the State Duma, on Oct. 7. All 446 MPs present at the session voted in favor of the document. The agreement was signed in Damascus on Aug. 26, 2015. Almost a year later - on Aug. 9, 2016 - it was submitted by Russia’s president to the State Duma for ratification. 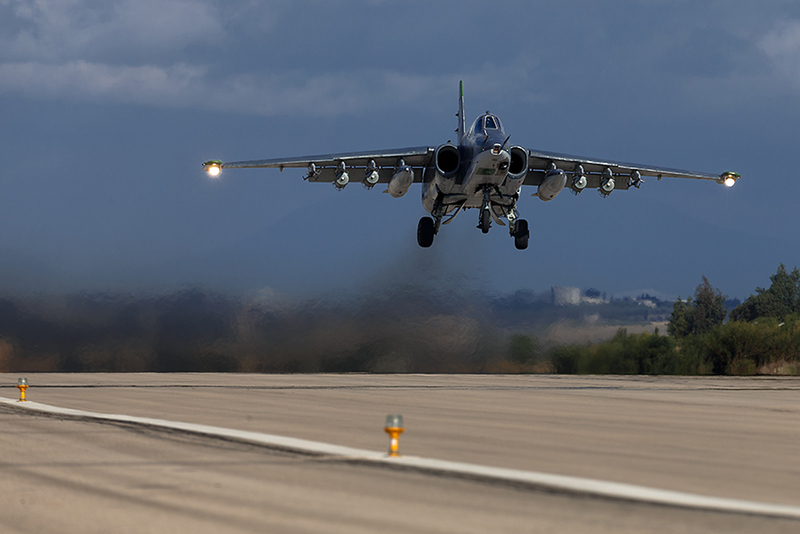 The deal stipulates that the Russian air force group will be deployed at the request of the Syrian side at the Hmeimim airfield in the Latakia province indefinitely and on a pro bono basis. The grouping will be used by the commander’s decision agreed with Syrian authorities. Under the agreement, the Russian personnel and their family members are granted immunity similar to diplomatic, the protection of Russia’s property, archives and transport vehicles is also guaranteed. The first deputy chairman of the upper house’s defense committee, Franz Klintsevich said "the agreement is most favorable to Russia and its military contingent without infringing upon Syria’s interests." He also voiced confidence that "the deployment of Russian military aircraft to the Hmeymim airbase for an indefinite period of time is the first but far from the last step" towards consolidating Russia’s positions "not only in Syria and in the Middle East, but also in the whole world."